I saw this on F4 Polish's Etsy site and knew I had to have it. Love purple in any form. 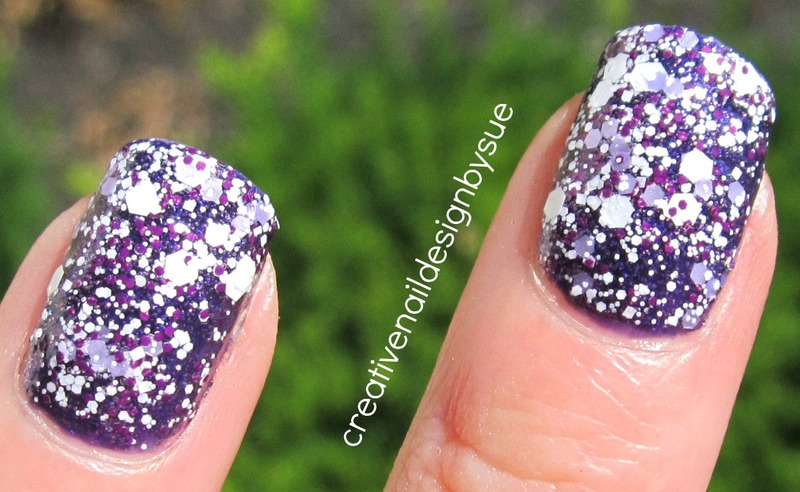 I layered it over Zoya Mimi. So pretty. Applied flawlessly. This was one coat of Mimi and two of Piper. 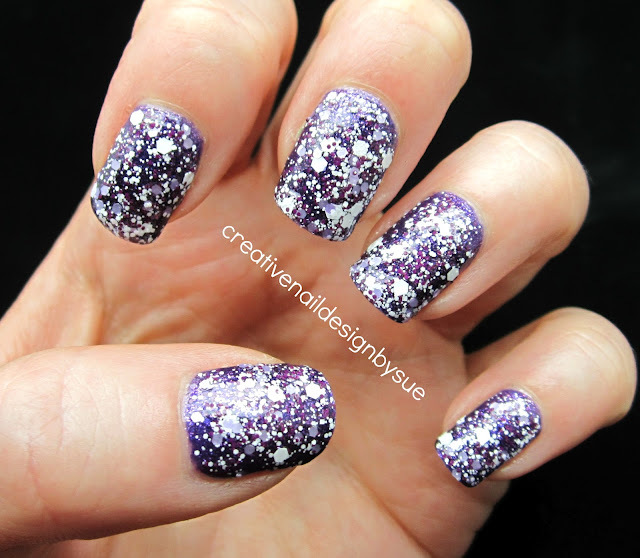 Piper is comprised of Various size white matte glitters along with medium light purple or lilac glitters and dark purple or magenta glitters. Here is a close up. You can buy F4 Polish on their Etsy site. I have purchased 17 F4 Polishes in all. So far, I have tried 5 and have loved them all (I have only blogged about three so far). Can't wait to try the rest. It's a very fun and interesting-looking glitter! Wow this polish is packed with glitter! 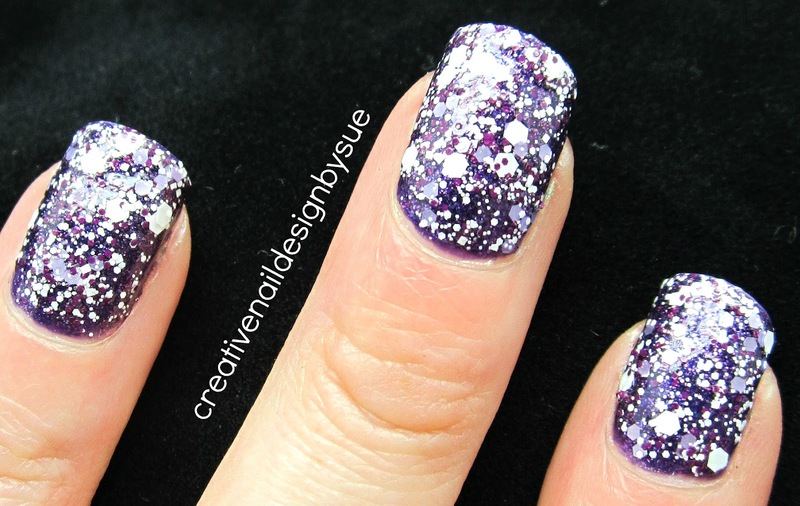 I love the glitter! It's very pretty!